What is New Freedom Mobility Management? 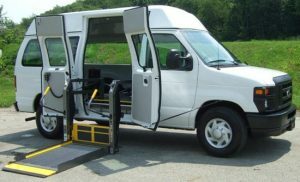 Transportation services designed to help seniors and people with disabilities enjoy important social and recreational events, retail shopping in addition to medical appointments** and work. If your appointment or event is outside of the Bay Transit service area and/or service hours, the New Freedom Mobility Management program might be able to assist you with transportation. If you live in the 12 county area of the Middle Peninsula, Northern Neck and New Kent/Charles City—Essex, Gloucester, King and Queen, King William, Lancaster, Mathews, Middlesex, Northumberland, Richmond, Westmoreland, New Kent and Charles City. Round Trip Fare for 0-50 mile trips = $5 and Round Trip Fare for 51-90 Mile Trips = $10. Must give a 72 hour notice before your appointment! If New Freedom cannot provide transportation at the time of your appointment, they will make every effort to find another means of transportation for you! Thank you for choosing Bay Transit for your transportation needs!